Black Friday and Cyber Monday may have come and gone, but the holiday season is still chugging along and there are still gifts to give. 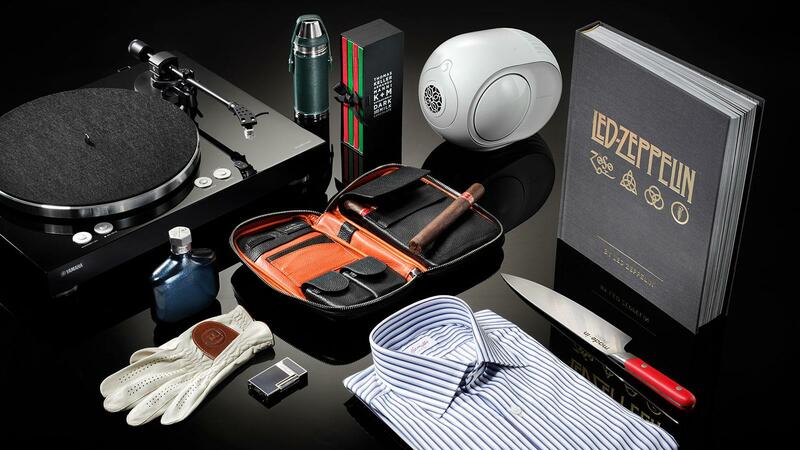 Whether the cigar enthusiast in your life is a gourmand, a techie, a golf fanatic, or simply enjoys lighting up a good smoke and cracking open a good book, our 2018 holiday gift guide has you covered. If you’re still stuck after reading this guide, remember that there is always one go-to product you can give a cigar lover: cigars. For the best-of-the-best, check out Cigar Aficionado's Top 25 Cigars of 2017 list, and for a list of cigars that are smoking well right now, check out 17 Top Cigars That Should Be In Your Humidor and peruse our online tasting database. And for the true cigar enjoyer, a gift subscription to Cigar Aficionado is a perfect present. A year-long subscription includes six issues with new cigar ratings, a good life guide, fascinating cover stories, and more. And for those who prefer reading on the go, a digital subscription to Cigar Aficionado allows anyone to read about cigars on their phone or tablet. 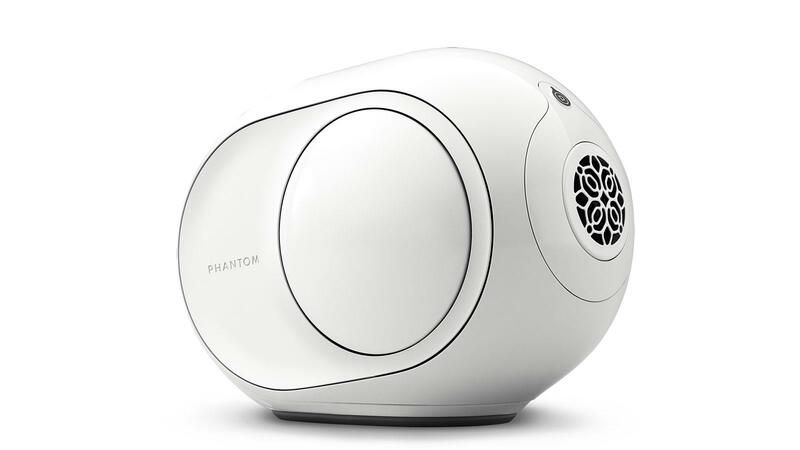 Devialet’s Phantom Reactor is a small, compact, wireless speaker that delivers the kind of power, fidelity and booming bass you’d find in speakers twice or three times the size. At 600 W, it’s the smaller (and less expensive) version of the original Phantom, but uses much of the same technology for dynamic audio detail (18 Hz to 21kHz), zero distortion and a max volume of 95 dB SPL. If you’re a carnivore who walks through Manhattan, your eyes will be drawn to a certain glass window on 52nd Street between 8th and 9th Avenues. 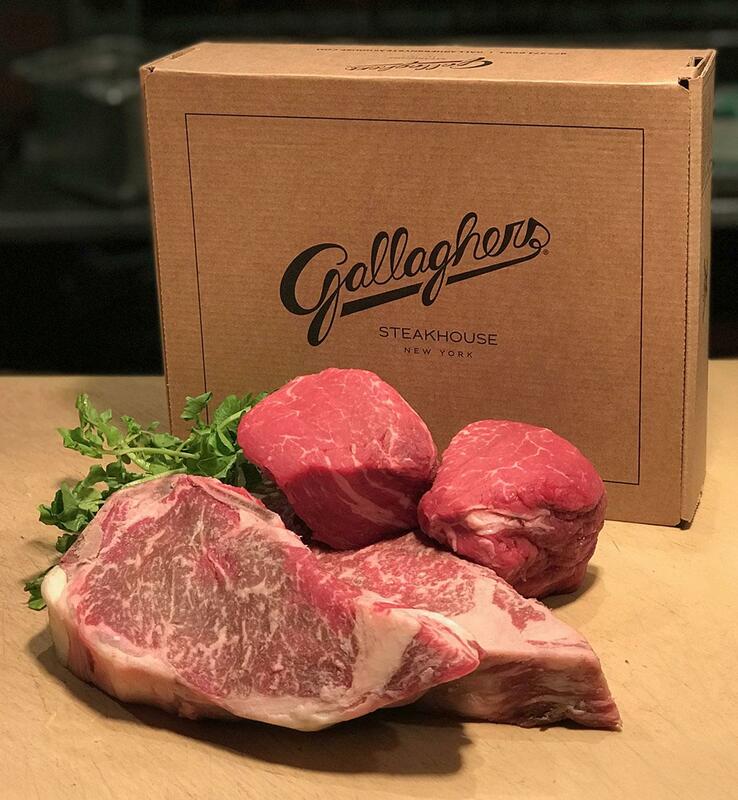 You won’t see clothes, Christmas trees or movie stars, but steaks, glorious steaks, aging in the Gallaghers meat locker. 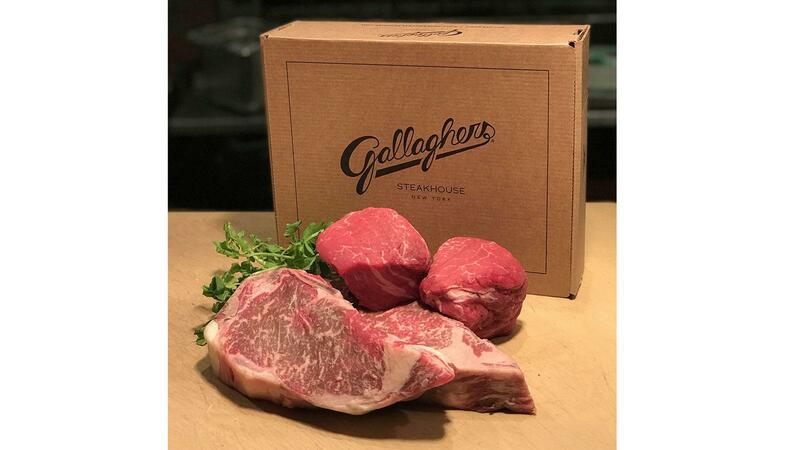 This New York institution has been around since the days of Prohibition, but only recently began shipping its steaks nationwide. Traditionalists who prefer the classic billfold-style wallet but could use a little less bulk will appreciate the balance struck by Saddleback Leather Co. 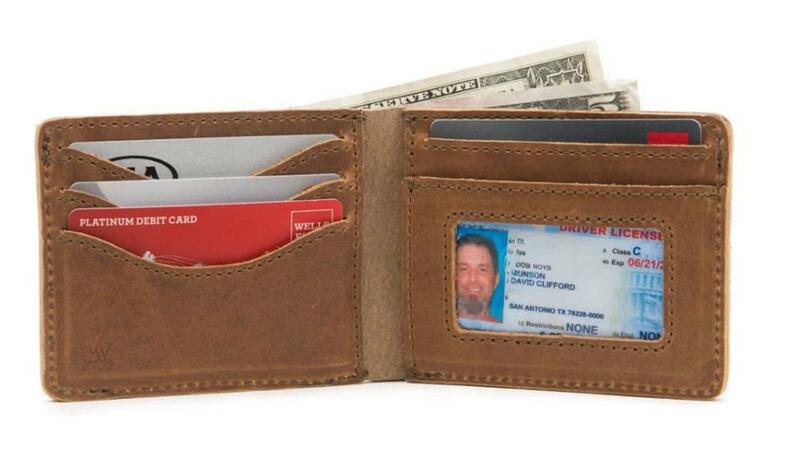 The Medium ID Bifold Wallet ($85) has plenty of room for your cash, ID and essential credit cards, without the nuisance of excessive dividers or fabric linings that are often found on wallets of lesser quality. Saddleback makes this wallet simple, but tough, by using just three components: full-grain leather, strong pigskin lining and marine-grade polyester thread. Not to mention it comes with a 100-year warranty. It’s no secret that vinyl records and turntables have not only made a comeback, but are here to stay. The sound gurus at Yamaha have built upon this tried-and-true technology by adding some modern features to better fit into today’s world. 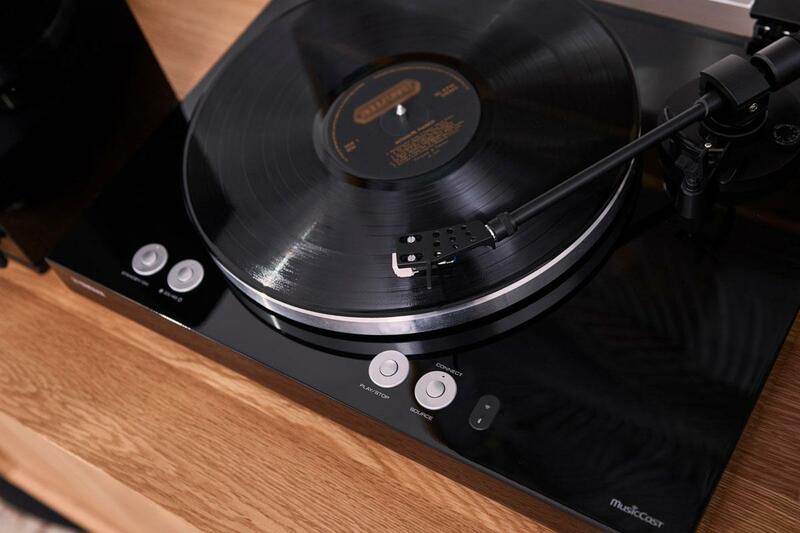 The new MusicCast Vinyl 500 turntable is both Bluetooth and Wi-Fi enabled, meaning you can ditch the cables and wirelessly pair it with capable speakers such as Yamaha’s new series of MusicCast wireless speakers. The turntable not only spins records, but also supports popular streaming services such as Spotify, Pandora, Tidal, SiriusXM and other. Should you already have a legacy Hi-Fi system, the belt-driven turntable has a built-in phono preamp that gives you flexibility to connect to any audio system. Someone on your shopping list enjoy getting the Led out? 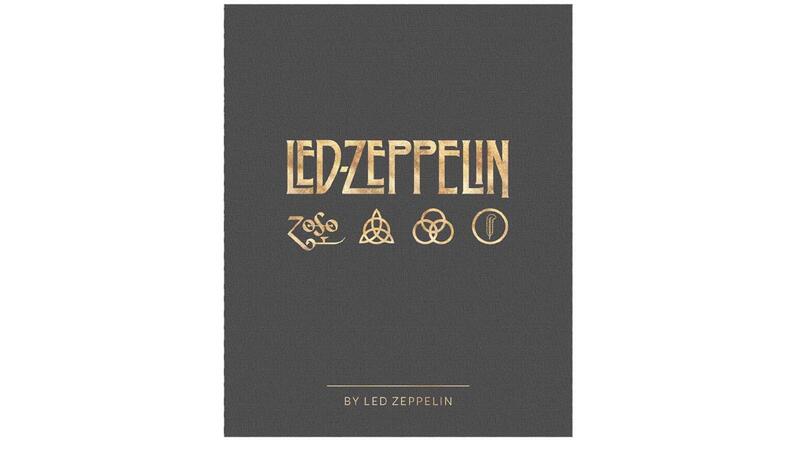 Reel Art Press has just published the first-ever illustrated book authorized by the legendary and elusive Led Zeppelin. Led Zeppelin By Led Zeppelin tells the story of the band through a series of photographs sourced by all of the major photographers who covered the iconic rock group throughout its 50 year history. It also includes rare photographs from the Atlantic Records archives and the private collections of Led Zeppelin’s surviving members: Robert Plant, Jimmy Page and John Paul Jones. Take your cigars to your next outing in style using the new Daniel Marshall Silky Black Italian Leather Travel Cigar Case. It can hold five double coronas, plus your lighter, cutter, business cards and a few key documents. The exterior is dark, with a pop of orange leather on the interior. A functional and beautiful way to travel with your smokes. Pairing a fine cigar with a fine beverage is never a bad thing. Peruse the online ratings databases of our sister publications, Wine Spectator and Whisky Advocate to find a high-quality spirit or wine. The silhouette of this new boot from Nisolo is striking and ensures that your cigar lover won’t fall out of fashion. 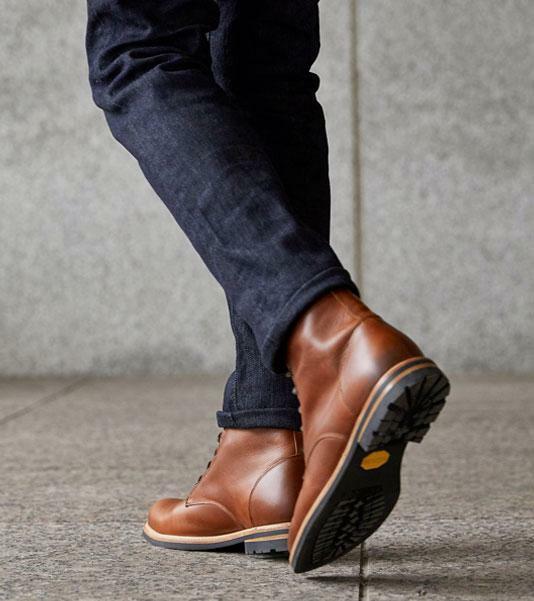 Handmade in a family-owned factory in Mexico, the All Weather Boot is made with vegetable tanned leather that is naturally oil based and water-resistant. 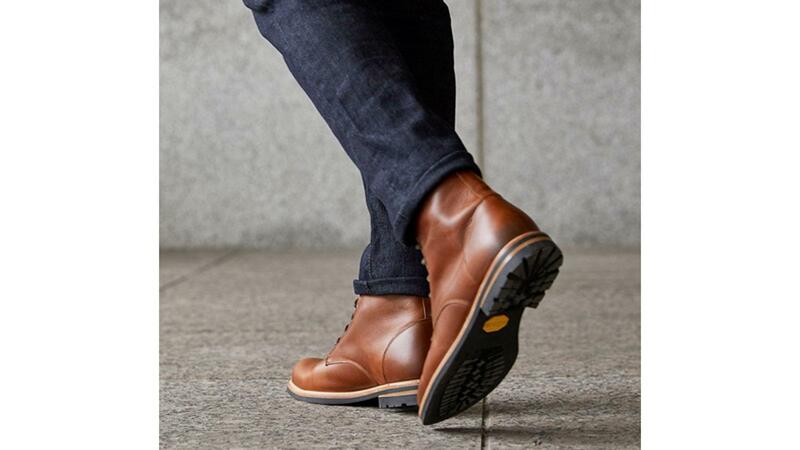 The boot’s Vibram 430 Mini Lug Sole offers both grip and flexibility with each stride and will last for years. Add in a gusseted tongue and you have a boot that will keep your feet warm and dry. It comes in three color options: black, brandy (pictured) and waxed brown. 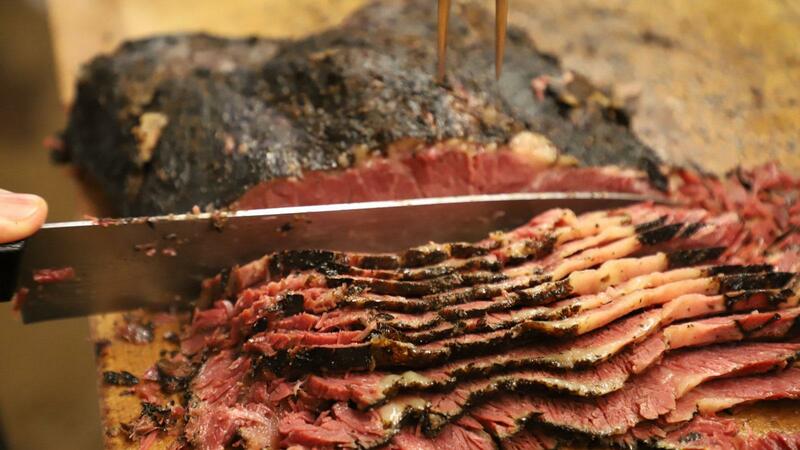 The pastrami sandwich is a New York institution. Peppery, beefy, rich and satisfying, it’s the king of deli sandwiches, built to satisfy. But don’t settle for pedestrian pastrami. To do it right, turn to the masters at Katz’s Deli, in business since 1888. The meat is brined for three weeks, rubbed with spice, smoked for three days, boiled for three hours, then steamed. Have the meat fly to you, for the store ships nationwide. Don’t forget the mustard and pickles. 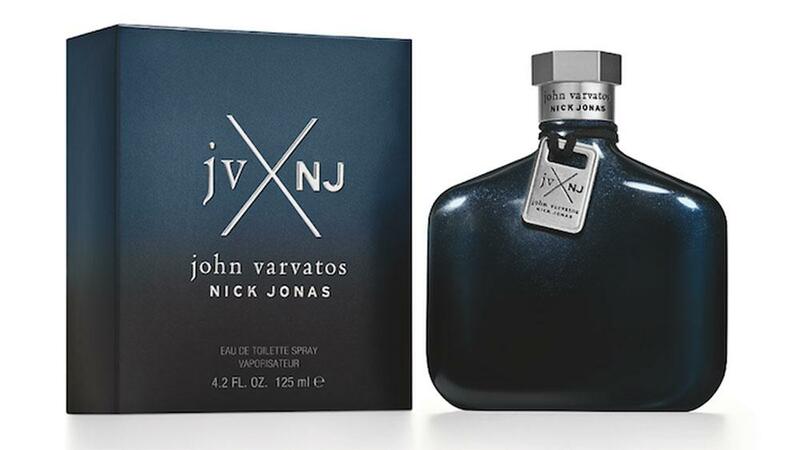 Designer John Varvatos joined forces with singer (and cigar lover) Nick Jonas to create JV x NJ cologne, a scent powered by sandalwood and other “courageous, confident and contemporary” notes. 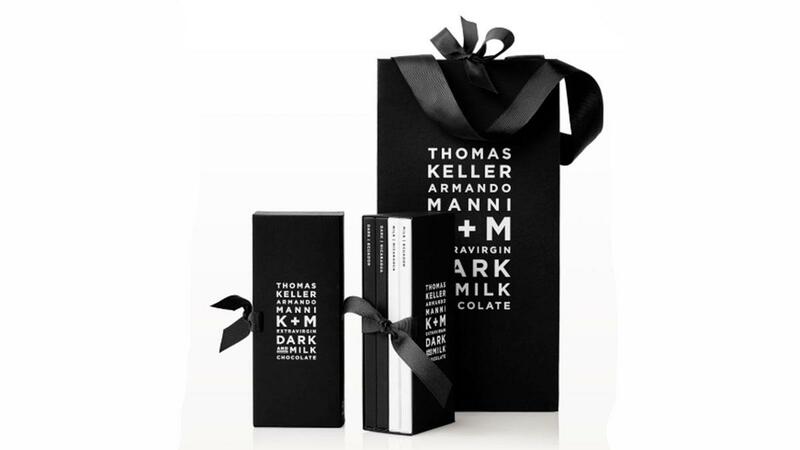 Genius chef Thomas Keller, of The French Laundry, and olive oil maker Armando Manni have combined their knowledge to create K+M Extravirgin Chocolate. There’s a little olive oil in each bar, which supposedly adds antioxidants, but all you should care about is the flavor. The 75 percent cacao bar with peppermint comes in a green gift set for the holidays, and adds a delightful touch of mint to superb chocolate. 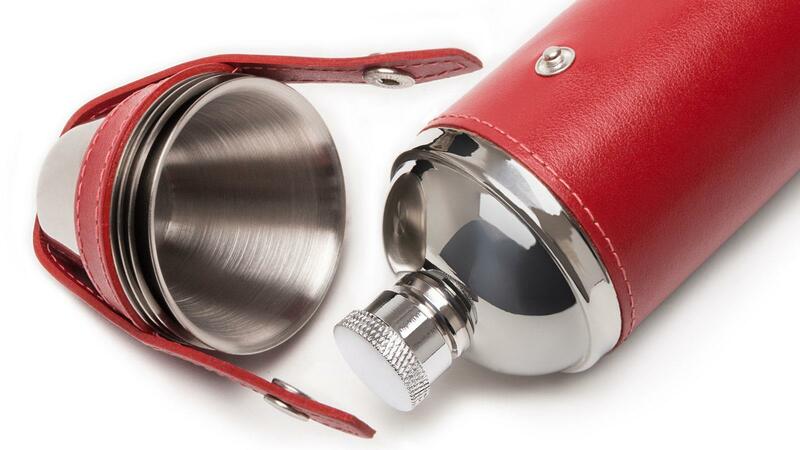 Most flasks are designed for the single sipper. We prefer the more generous charms of the Ettinger Hunter Flask, a stately 8 oz. stainless-steel container wrapped in leather to protect your fingers from the cold and improve the look. It’s compact, meant for easy carrying, and it has four cups that site perfectly on top. Each cup can hold one fluid ounce. Fill with the spirit of your choice (we suggest smoky Islay Scotch for those cold days) and make a friend. If you carry your golf clubs—or someone carries them for you—your bag ought to be light. Part of that deal means you don’t go out for 18 holes with three dozen balls, but the other part is having a high-tech bag designed to be light in weight. 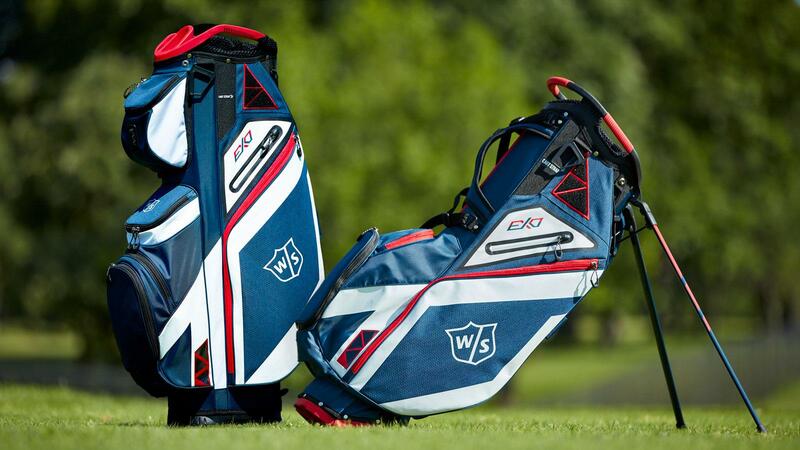 Wilson’s new 2019 eXo carry bag (it went on sale in late September) weighs a mere 5.1 pounds, has five large dividers to separate your clubs and sports six storage pockets. Just be sure to reserve one of those pockets for your cigars. There are air-padded straps, umbrella and glove holders, as well as a rain hood. 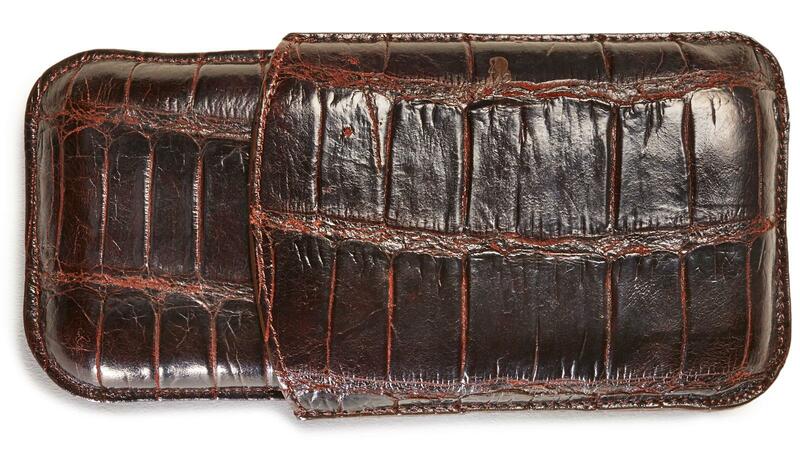 Covered in Florida alligator, lined in leather and made right here in the United States, this Casa Del Rio SR Cigar Case is the perfect gift for the cigar lover on your list who wants to walk on the wild side. The alligators sourced by Casa Del Rio are wild, not farmed, and each case carries the unique markings of the animal that now encases your cigars. 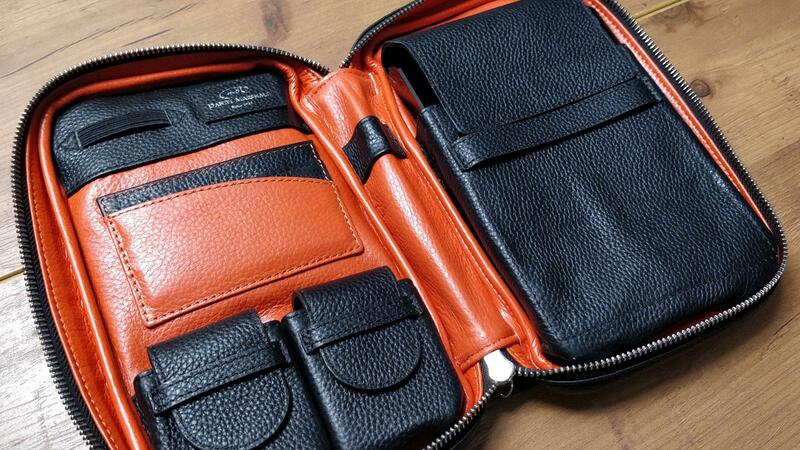 The case holds three cigars and, while the outside is tough, the leather interior is smooth and won’t damage the wrapper on your handmade cigars. Luxury goods maker S.T. 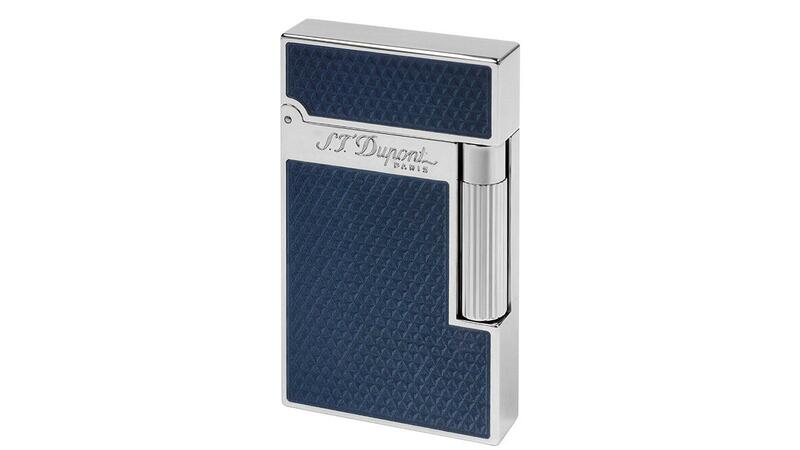 Dupont is renowned for its Ligne 2 cigar lighters, recognizable by their rectangular shape and the distinctive “ping” sound when opening the cap of the lighter. The latest Ligne 2 is called Fire Head Under Lacquer, and its design was inspired by the company’s Diamond Head lighters from the 1950s. It’s crafted with a triangle-shaped guilloche pattern on its surface and topped with layers of deep-blue lacquer. Made with a solid brass core and palladium finish, Fire Head Under Lacquer is the perfect gift for the aficionado in your life who appreciates a fine work of art. Made in France. 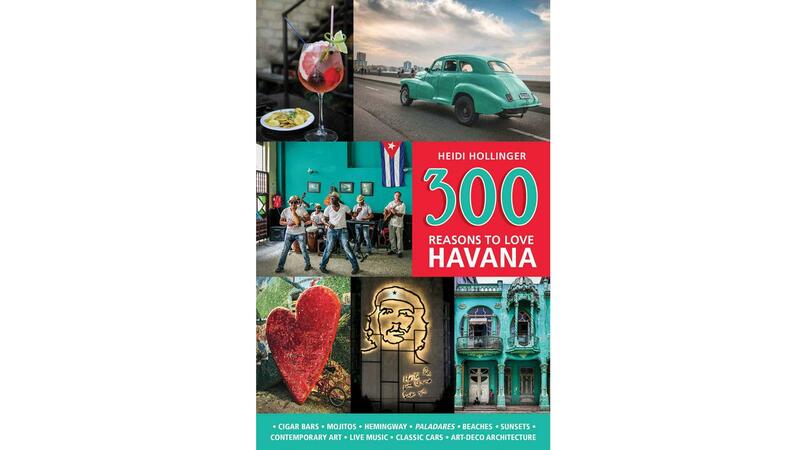 Heidi Hollinger’s 300 Reasons to Love Havana is a guide pointing out the beauty and charm of Cuba’s capital city, which she has repeatedly visited since the 1980s. From places to dine to sights to see, the book will point you to a side of Cuba you may not have known. The only bulking up that’s appropriate on the golf course is hitting the 19th hole for a mid-round meal. But when it’s cold and damp (or, if you’re going to Scotland) look to the folks at Puma to keep you warm and dry in style. 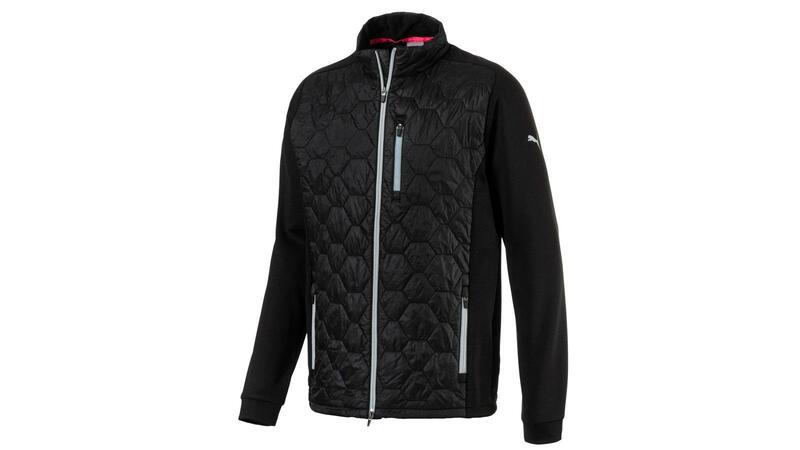 The PWR Warm Dassler Jacket keeps the padding thin around your arms—freeing you to swing—while boosting it around your core, keeping you cozy. And it has just enough pockets to hold a few items that are golf course necessities, like a torch lighter. Geared towards the modern, upscale man who appreciates a sophisticated look on (and off) the golf course, Footjoy’s new 1857 collection honors the company’s rich history while setting a standard for luxury performance golf. The shoes in the collection include course-ready wingtips and classic plain-toe saddles as well as monk straps and bluchers when you’re not playing 18 holes. All are custom-designed and made by hand using premium Italian calfskin leathers, suede heel pockets and cork-layered fit-beds for molded custom comfort. There’s also an apparel component to the line, with each piece made from premium materials such as 100 percent cashmere, leather or supima cotton for optimum comfort and style. While it may seem as if every man is sporting a beard nowadays, believe it or not there are still some who appreciate a close shave. 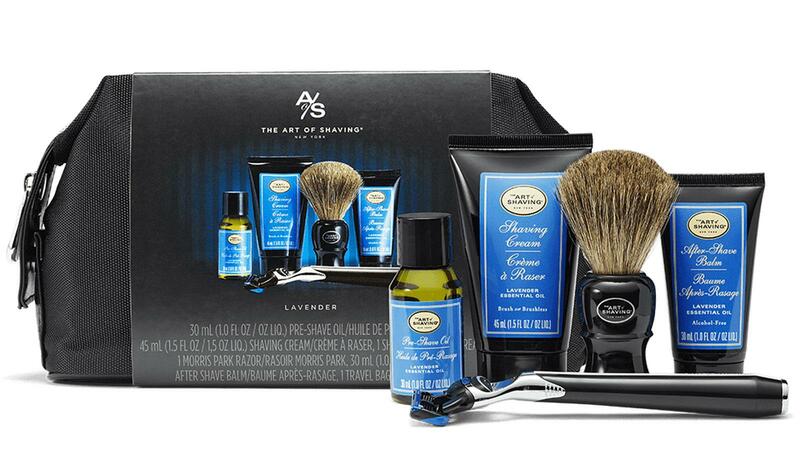 This kit from the Art of Shaving includes everything man needs to groom with confidence. Inside is a five-blade Morris Park razor, a badger fur shave brush and the company’s lavender pre-shave oil, shaving cream and after shave. A proper beer needs a proper glass and this handblown beauty, inspired by the shape of Japan’s Mount Fuji, is perfect for your favorite brew. The wide bottom and narrow mouth help form a tight head and direct aromas straight to the nose. 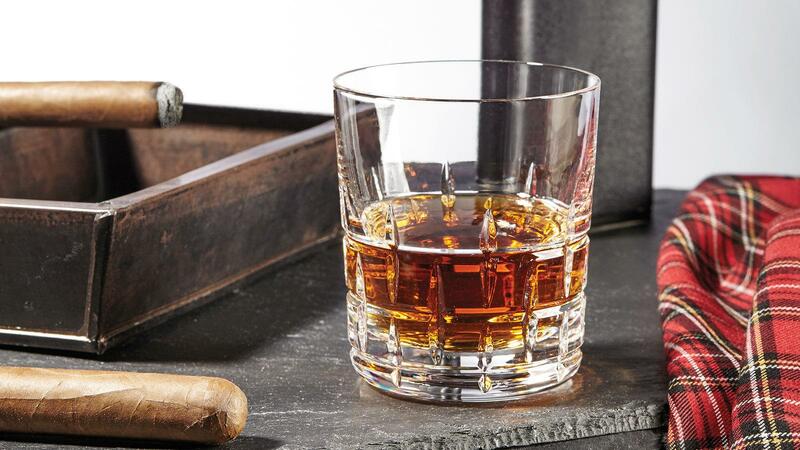 If you prefer Bourbon or Scotch, it also makes a great tumbler-style glass. 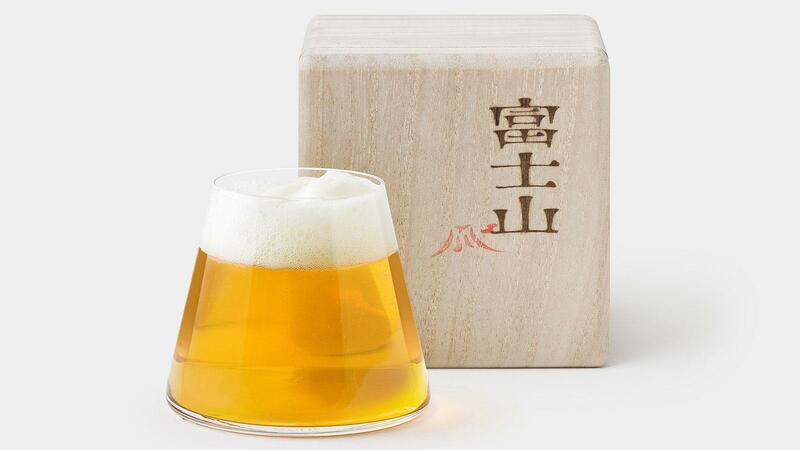 The glass is shipped in a solid Paulownia wood box, like a traditional Japanese tea cup. 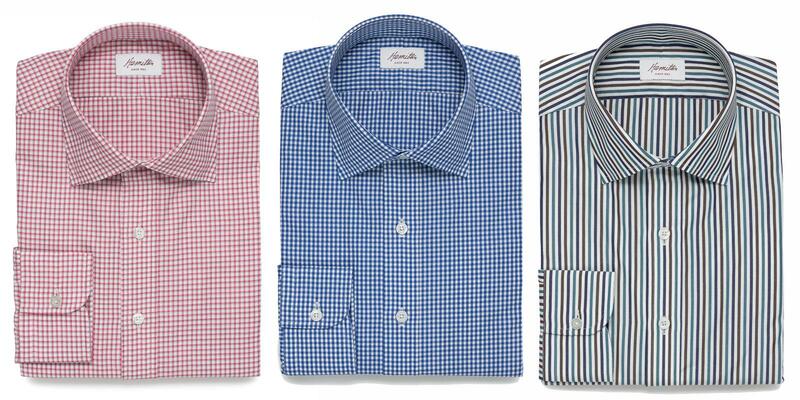 Hamilton has been crafting superior shirts since 1883. Today, the fourth-generation brother-sister team of David and Kelly Hamilton oversee a company that still produces all of its products in Houston, Texas, cutting by hand shirts that fit just right. The company offers full custom as well as off-the-rack sizes. 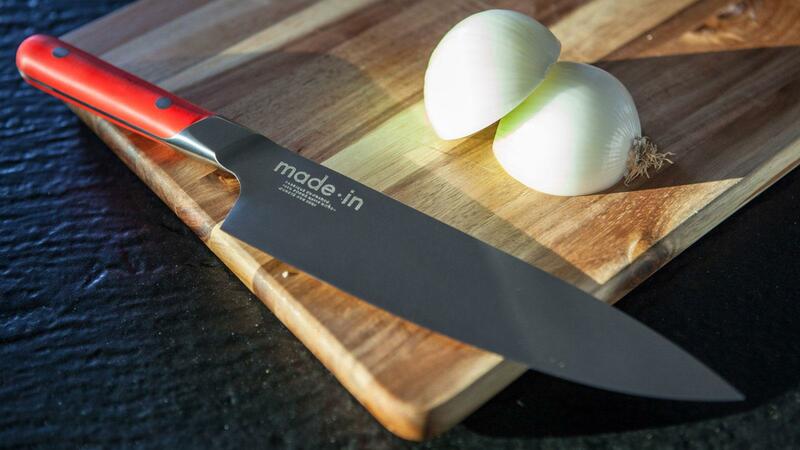 Forged in France, the Made In chef knife is a piece of professional-level cutlery without the high, professional-level price. The 8 1/2-inch blade (13 inches overall) is hammered from a single rod of nitrogen-treated, premium X50CrMoV15 steel, achieving a Rockwell hardness score of 58-60. Its nitrogen treatment keeps it sharper for longer periods of time and helps to prevent corrosion. Plus, the knife is beautifully balanced, feeling less like a kitchen utensil and more like the natural extension of your hand. Available in red or white. Dean & DeLuca take the traditional gift basket to unheard of epicurean heights with the Ultimate Holiday Gift set, a gourmet collection with so many high-end foodie delights, it probably won’t fit under the Christmas tree. 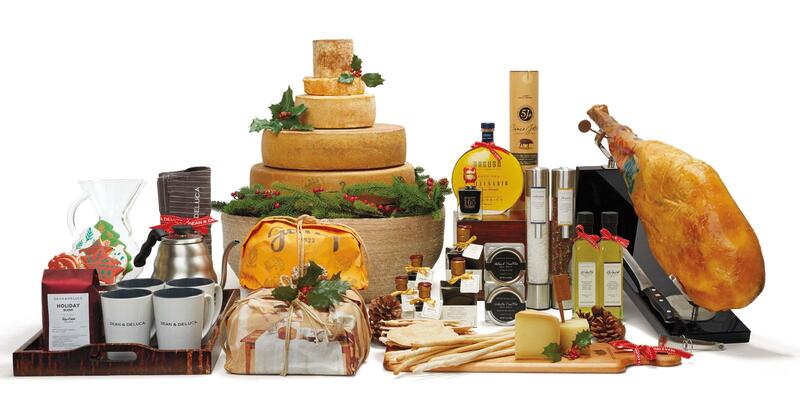 From five entire wheels of cheese to a whole leg of Iberico ham, this extravagant set also includes olive oil, balsamic vinegar, truffle oils, truffle salt, panettone cakes, coffee, latte mugs and even a Chemex coffee maker. It’s the gift basket that puts all other gift baskets to shame.